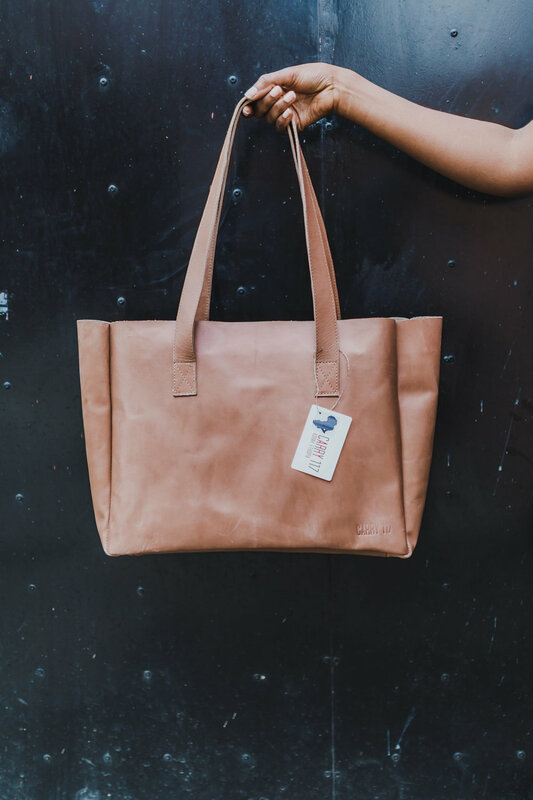 Carry 117 exists to empower at-risk women in Korah, Ethiopia. WE BELIEVE that economic empowerment provides the foundation necessary for sustainable development. The Carry 117 model revolves around this belief, going beyond charity to support income alternatives. As the women involved in this project are empowered, their families will be strengthened and preserved. The community of Korah and the country as a whole will benefit. WE HIRE at-risk women in Korah, train them to sew, and provide them with a job. Each month, they earn a paycheck, which in turn allows them to provide for themselves and their families. WE SELL these products in Ethiopia at bazaars and businesses. In the United States of America, we sell products at small shops, schools, churches, trunk shows, personal parties, festivals, and businesses. Our products are also sold online at our Carry 117 store and on Etsy. WE SEE dignity being restored, confidence growing, stability within families, children being fed and educated, and the hope of a bright future. Five million people live in the capital city of Addis Ababa, Ethiopia. For years, the trash from these five million people has been dumped in Korah. The village of Korah began 80+ years ago when the first leprosy hospital, ALERT Hospital, opened for business. This hospital was established by Dr. Ross, from the U.S., and a Dutch doctor named Chris Dorman. After hearing about the rampant spread of leprosy, these two men approached King Hale Selase to request land to establish a hospital specifically for the treatment of leprosy. King Hale Selase was willing to give land, but only land that was far from the town and in the forest to keep the people with leprosy separate from everyone else. People from the countryside would walk for days and weeks seeking treatment. They came alone to the city because their family members believed they were cursed when they contracted leprosy. In fact, some of these individuals were put into a separate hut when their disease was discovered. Later, their family would light the hut on fire. The family members were so convinced that the leprosy was a curse that they were even willing to kill their own children. Once they reached Addis, those with leprosy weren’t welcome because of their disease. They lived near the hospital, around the trash dump. This is how Korah was born. Over eighty years later, Addis Ababa has grown. The trash dump is no longer on the outskirts, but surrounded by the city. Generation after generation has been born here, and Korah is now home to 200,000+ men, women and children. Many of these people carry the scars of leprosy, battle HIV, wear the stigma of being born here, or are simply struggling to survive in this community due to the rampant sickness and disease. These 200,000+ people directly or indirectly benefit from the trash dump. They either depend on it for food, or they spend their days scavenging through the trash collecting recyclable items to sell for a living. The dump is a dangerous place; children have been run over by garbage trucks in their hurry to get to the “freshest” trash first. Often, children are kept out of school so they can help dig in the dump. In the last two years, the government started closing the dump with the intention of moving it further outside the city. This isn’t good news for the residents of Korah because they depend on it. Fewer and fewer garbage trucks frequent there these days. Where piles of trash once stood piled high, an energy plant is being built, which will be fueled naturally by the decomposing trash. They say there is enough energy for many years to come. Life in this community isn’t easy. However, many great organizations stand shoulder to shoulder with Carry 117 in providing a hand up out of poverty, with a unified desire to bring change to the community.